Thoughts of Mexico might conjure up the idea of tacos and spices in your mind, but there are some surprising alternatives to these elements of Mexican cuisine. One of the hidden treasures of Baja Norte, for example, is the wine country of the peninsula. Pull out your road map, dust off your documents from your Car insurance for Mexico by Mexican Insurance Store, and get ready for adventure. Make sure that your Mexican insurance for cars from Mexican Insurance Store.com is updated, and get those documents ready to go. 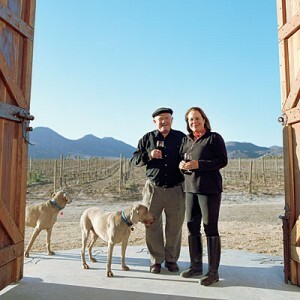 There are a couple of options to consider as you plan your route to see wineries in Baja. Most are located somewhat in the interior of the Baja Peninsula, and Mexican Highway 3 is the main connecting point. 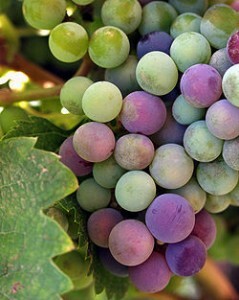 Baja is known for its agricultural industry, and the northern part of the peninsula is well-suited to growing grapes. As a result, you’ll find more than 30 wineries in the area. If you want to get started right away on your winery exploration, you can cross into Mexico at the Tecate border area, heading south on Mexican Highway 3. Make sure that your Car insurance for Mexico by Mexican Insurance Store is ready for your travels, especially if you have an existing policy that you haven’t checked in a few months. December changes to Mexican labor law impacted Mexican insurance for cars from Mexican Insurance Store.com. Indemnity requirements have multiplied by more than seven times, making it important for you to purchase additional coverage if your policy is insufficient. If you haven’t been to Mexico in several years, it’s important to take note of mandatory insurance in Baja Norte. All motorists must be covered before entering the state. Your Car insurance for Mexico by Mexican Insurance Store can be purchased online, making it easy to take care of details before you travel. You might want to start your winery tour at the southern end of the circuit. The Ensenada area is included with several wineries in the vicinity. The Tijuana border crossing will enable you to drive down the scenic Mexican Highway 1 route. Start at Ensenada, working your way north on Mexican Highway 3. Your Car insurance for Mexico by Mexican Insurance Store ensures roadside help if you have any trouble, but hopefully, you can simply concentrate on the wineries. Your Mexican insurance for cars from Mexican Insurance Store.com provides you with peace of mind as you go. I am a fan of sampling Mexican wineries. Driving Highway 3 from Tecate is my favorite route as it is less congested and has one of the highest numbers of wineries along one road. Make sure to purchase Mexican insurance online for safe travel. Previous post: Mexico car insurance at Mexican Insurance Store and Nayarit beaches! Next post: Mexican automobile insurance at Mexican Insurance Store and traveling cheap in Mexico!